Creativity can be very structured such as technological creativity or very unstructured and almost random in nature. The crudest form of creativity is just rearranging shapes, colors, and sizes such as in floral designs, interior decorating, fashion, and painting. Most artistic creations are neither beautiful nor very functional and even talented artists create more bad or mediocre paintings, fashion, music, and movies than good and exceptional ones. If you follow few rules and have little experience in an art then chances are you will create mostly garbage without lasting value or beauty. Nature is beautiful and functional. If you depart too much from nature then you will come up with many mutant creations which are neither beautiful nor very utilitarian or functional. Technology is very utilitarian, frequently functional, and originates from rather strict creative rules which consider efficiency and use the rigor of mathematics and logic in the creative process. The technological creative process is basically analyzing or breaking something up into its component parts and trying to understand the role that each plays in making something work. Then synthesizing or rearranging the parts, adding to the parts, and subtracting from the whole occasionally creates a new useful and even beautiful functional product. There is much failure even in technological creativity and you can make thousands of mistakes before you come up with a winning combination or creative product but there is rigorous criteria for success. Will it work better? Will it satisfy a need? Will it do a job more efficiently from an energy standpoint? 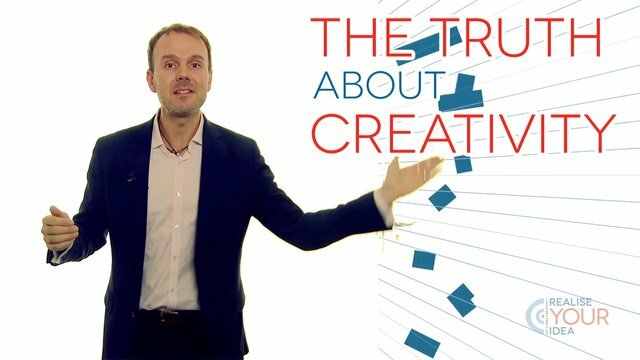 A truly creative human will become an expert in their chosen area, have an interest in areas similar and different than theirs, have an insatiable desire for new useful knowledge, and be constantly analyzing and synthesizing mentally and physically to come up with a new creative product. Taking some time off occasionally to think about your goals, daydream, or just meditate to give your mind a rest is also very important. From an aesthetic point of view I believe that any truly creative artistic human should also appreciate and revere the natural beauty of nature. This entry was posted in common sense, education, science, society and tagged analysis, common sense, creativity, education, invention, rearranging, science, society, synthesis, the truth about creativity on March 12, 2014 by uldissprogis.